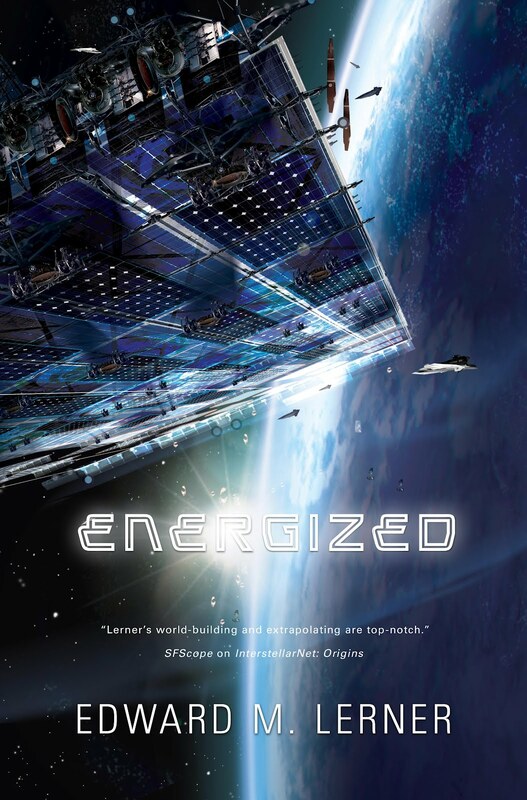 The background of my 2012 novel Energized includes an energy supply shock triggered by Russian meddling in the Middle East. The crisis is further complicated by many energy-consuming countries having become dependent upon Russia for gas and oil. They are unwilling or unable to risk angering their supplier. Several critiques of the novel commented on an "obsolete" Cold War mentality. Post-Soviet Russia wouldn't act that way. Right? Wrong. And, to be honest, those comments continue to rankle. "Modern" Russia is a primary aider and abettor of the genocidal Assad regime in Syria. Russia runs interference for the nuclear ambitions of the mullahs in Iran. For years, Russia has occupied parts of Georgia and Moldova. As is all over the news, Russia recently occupied Crimea. Obama signed an executive order that freezes U.S. assets and bans U.S. visas for seven Russian government officials, including a deputy prime minister and one of President Vladimir Putin's closest advisers. The sanctions also include the former president of Ukraine and his chief of staff, and two Crimea-based separatist leaders. It wasn't immediately clear if any of them have U.S. assets or business interests. Meanwhile, for all their talk, EU countries are loath to apply meaningful sanctions because every year they buy ~$160B in gas and oil from Russia. Now Russia is holding massive military exercises on the eastern border of unoccupied Ukraine. In short, the scenario in Energized has proven all too realistic. As in: we're in a new Cold War, although the West's leadership doesn't see it or won't admit it. As in: Russia is wielding its petro power as a weapon. Meanwhile, from President Obama, "Our approach as the United States is not to see these as some Cold War chessboard in which we're in competition with Russia." Really? Wake up and smell the borscht. That doesn't mean we're without options today. Amid a fracking boom, we could approve more natural-gas export licenses. We could be acting to wean Europe of its dependency on Russian energy supplies. Why the hell aren't we? Might an expedited migration to electric cars help in such an energy crisis? (Energized also looks at the challenges of switching to a more-electric economy.) Not easily. Not quickly. Suppose we could manufacture enough electric cars to matter. (For all its glowing press, Tesla Motors is a niche producer at best. In 4Q13 it delivered "almost 6,900" cars. In contrast, GM delivered >220K cars in February alone.) We wouldn't have the electrical generating capacity to charge them. If we built enough new generation capacity, we'd still be stuck with a national grid incapable of delivering that extra power. Meanwhile, we're pushing more and more coal power plants offline. That's your EPA at work. Science fiction isn't about predicting the future ... but sometimes a look-ahead turns out to be eerily, scarily on target. We can only hope the solar-power-satellite solution in Energized turns out to be on target, too. Coal plants are going offline because they are expensive to maintain and run, compared to natural gas. To the degree purely economic forces are leading to a fuel shift from coal, I'm in full support. My issue with the rush from coal arises when the EPA forces otherwise viable plants offline by labeling maintenance and enhancements as new new construction, subject to the most rigorous regulation.